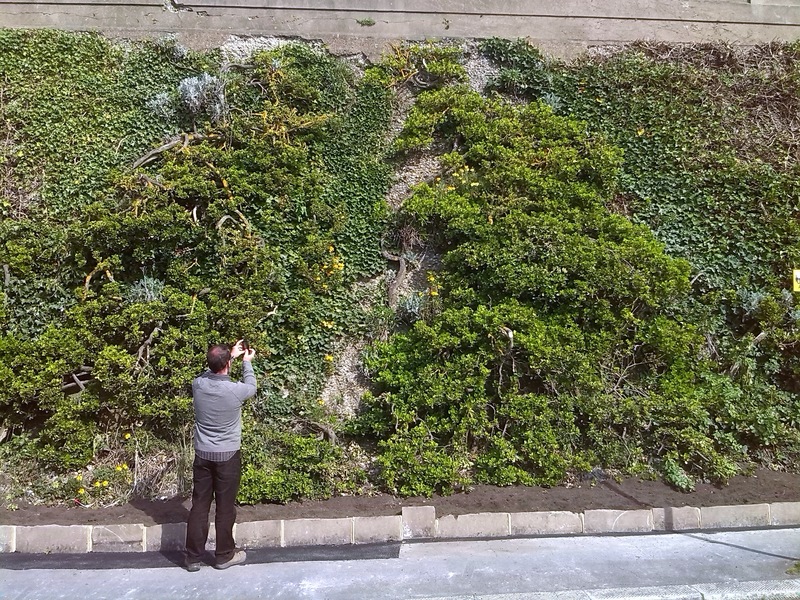 Portslade Green Gym volunteers will be at the Madeira Drive green wall again this week, working up a sweat whilst maintaining our natural heritage. 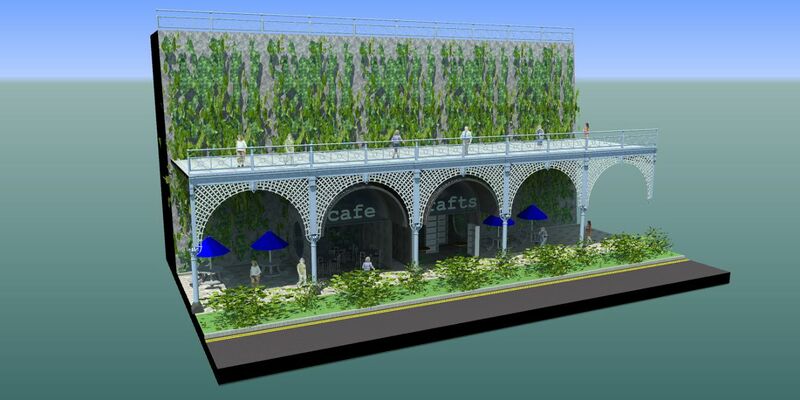 They will be tidying up the vegetation along the footpath, helping to maintain the biodiversity of the area whilst keeping things shipshape for pedestrians. Why not pop along during the morning of 13 October 2016. 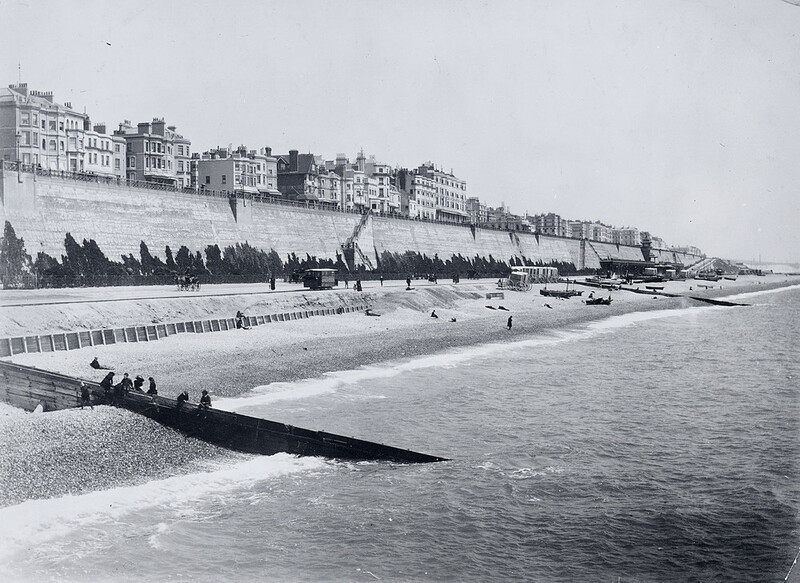 Building Green is working with the Council and volunteers to protect this Victorian green wall – planted c1850 – and in time restore it along its length. 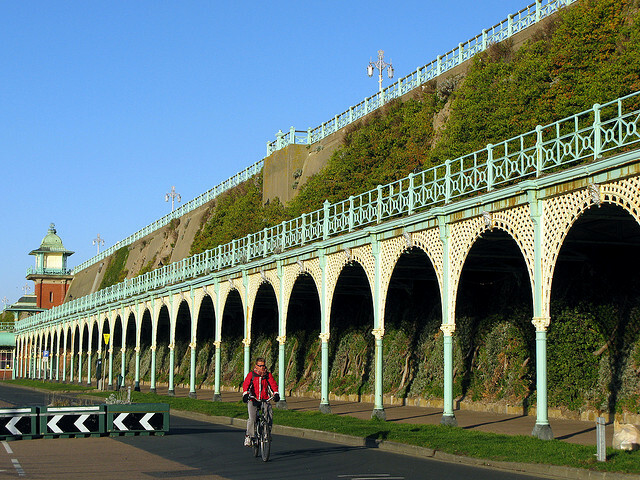 It is the longest of its kind in the UK, and was planned alongside the unique listed Victorian ironwork of Madeira Terrace, the Shelter Hall, and the Volks Electric Railway. Find out more here – more coming soon. 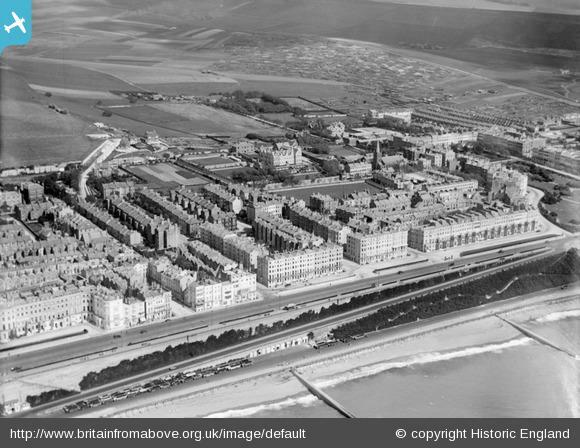 10 years ago today, Brighton & Hove Building Green had its very first meeting. The first meeting agreed to establish a forum, and set out some success criteria. Here’s how we think we’ve got on. 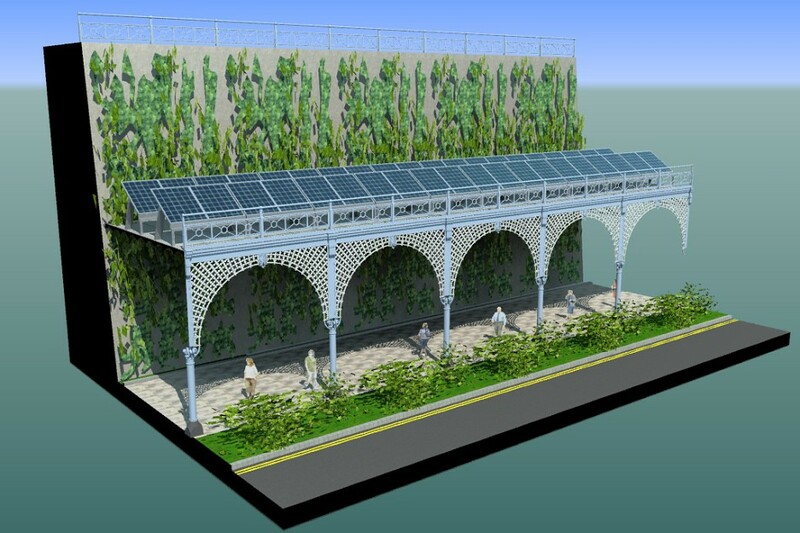 Green roofs and green walls are certainly more mainstream, with links in planning policy. Some of the ambitions – for London-style planning requirements – have not been achieved and there is work to do to encourage better quality installations that last and perform. 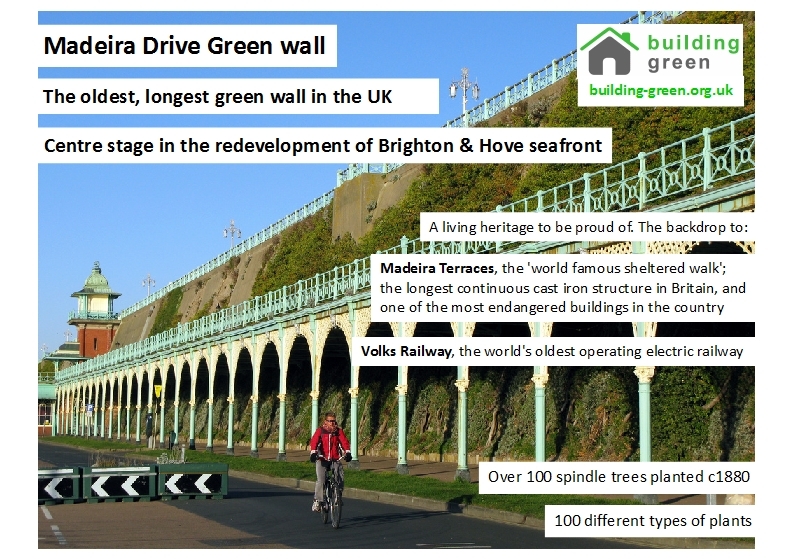 Building Green has been central to promoting green buildings in Brighton & Hove – we’ve run many events, and contributed many stories to the media. We have run tours of green buildings in the city, and were a partner in Eco Open Houses – many of the houses featuring green roofs and/or walls. 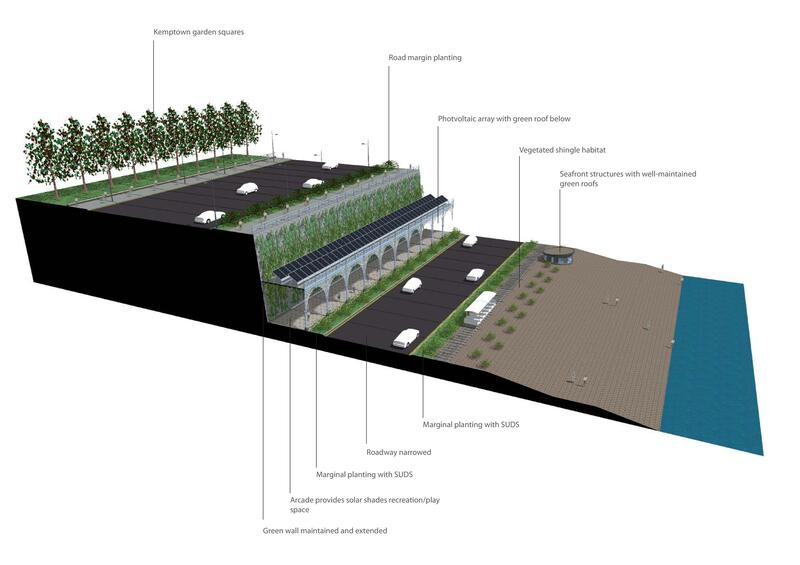 The UK’s first vegetated shingle roofs are currently being constructed at Brighton Marina. Building Green is planning a tour to see how they’re getting on. 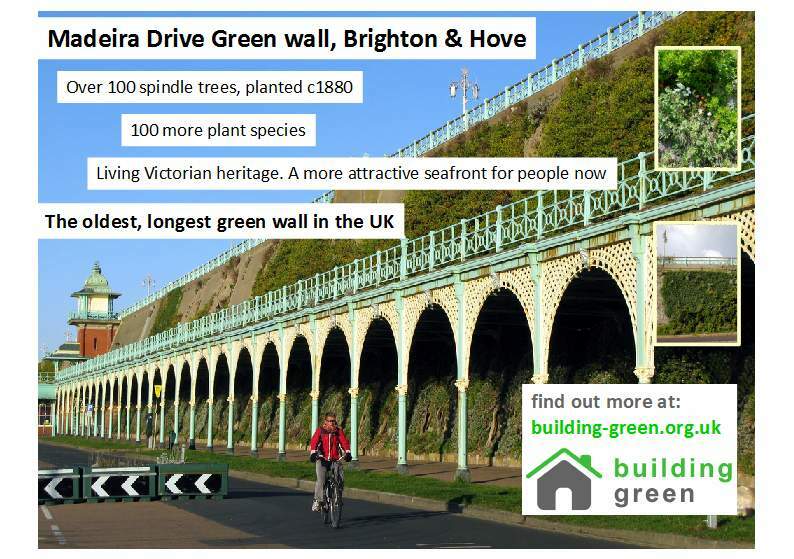 Come and talk to Building Green about it – and other things! 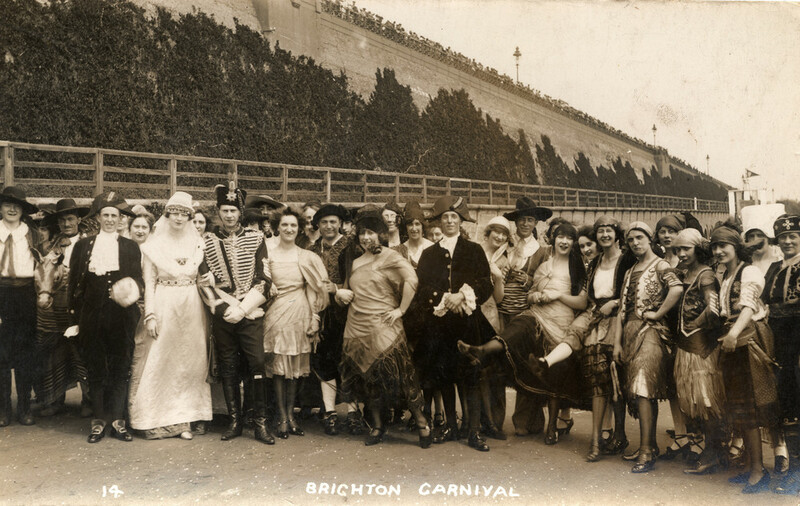 – at the Big Nature even, Brighton Centre, 1-4pm, 3 October 2015. New group set up that will be helpful in raising awareness and interest in these historic, unique and threatened parts of our City. 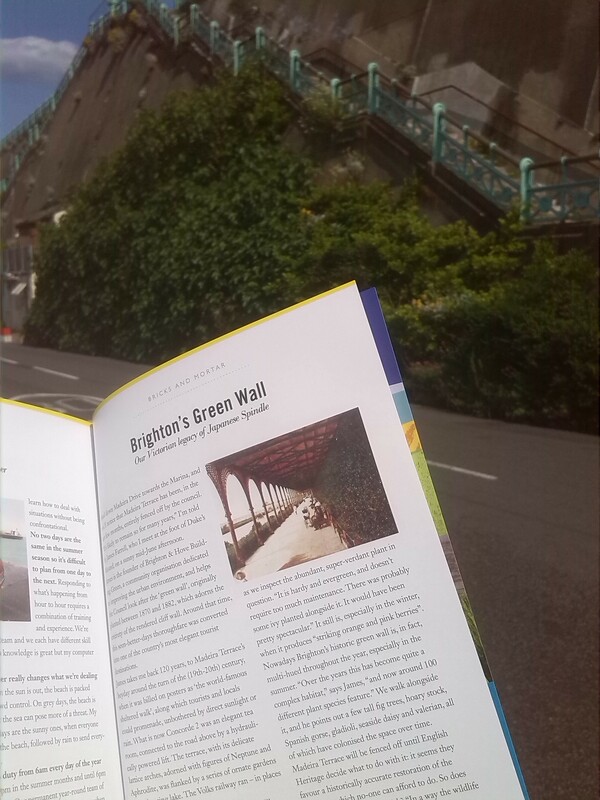 July issue of Viva Brighton magazine features a story about the Madeira Drive green wall, and quotes Building Green founder James Farrell. Pick up a copy in a local shop or cafe, or read it online!